Cinnamon is a spice that originates from India, China and Sri Lanka being one of the oldest spices known to man having been mentioned in a 2700 BC book on Chinese botanical medicine. Cinnamon has been mentioned in the Bible many times and was used in ancient Egypt not only to flavour beverages but as medicine as well. There are over 100 different varieties of Cinnamonum verum all over the world, the scientific name for cinnamon. Cinnamon is the bark of the cinnamon tree, it is dried and it is rolled into “Quills” or you can find it also in powder form. In traditional Chinese medicine, it has been used for its warming qualities, providing relief when having the flu or cold, works especially well when mixed in a tea with some fresh ginger. Cinnamon is an excellent source of manganese, fiber and a very good source of calcium. What is the evidence regarding cinnamon’s effect on the human body? Now let’s dig in into the health benefits of cinnamon. 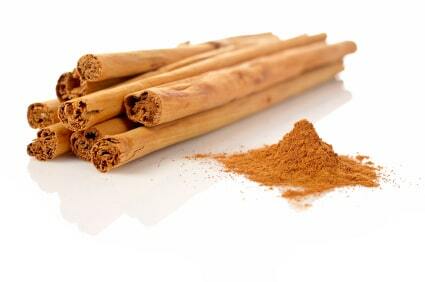 Studies have show that just a small amount of cinnamon taken daily can significantly reduce blood pressure. Studies have also show that taking ½ a teaspoon of cinnamon powder daily decreases cholesterol for those with high cholesterol. When mixed with honey, ½ a teaspoon largely reduces the symptoms of osteoarthritis and it is used to relieve all kinds of joint pains including gout and arthritis! Furthermore, cinnamon decreases the body’s blood sugar levels helping people with diabetes by slowing the rate at which the stomach empties after meals, reducing the rise in blood sugar after eating. (See the following study.) Cinnamon also helps people with type 2 diabetes improve their ability to respond to insulin by normalizing their blood sugar levels. Numerous studies conclude this from the US Agricultural Research Service from a study done on humans and the December 2003 issue of Diabetes Research and Clinical Practice from a study done on rats. A study published in Hormone Metabolism Research is very interesting; they fed rats a high fructose diet and were also given cinnamon extract. The rats’ ability to respond to and handle glucose was so greatly improved that the insulin levels were the same as the rats who were on a normal diet! Researchers from China evaluated 122 different herbs and spices for their effectiveness at reducing uric acid levels, the main trigger for gout flare-ups and guess what? Cinnamon proved to be the most effective of them all for inhibiting the enzyme responsible for producing uric acid and avoiding a gout attack. Cinnamon is also an extremely powerful antioxidant that when compared to six other antioxidant spices which include ginger, vanilla, licorice, mint, nutmeg and anise; cinnamon was the unanimous winner, preventing oxidation more effectively than all the other spices except mint! 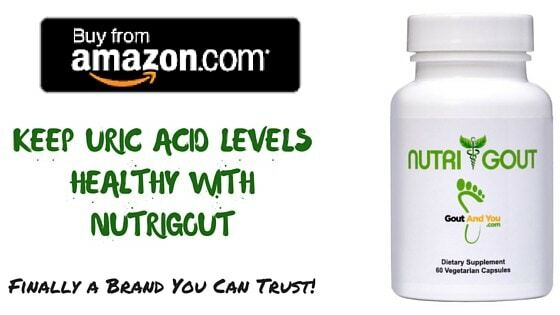 This also helps you with your gout. How does a gout sufferer use cinnamon? Cinnamon is available in sticks and powder form. Although the sticks can be stored for longer, the ground powder has a stronger flavor. Powdered cinnamon will keep fresh for about 6 months while cinnamon sticks will remain fresh for about a year but you can extend their shelf life by storing them in the fridge. You can check to see if cinnamon is still fresh by simply smelling it and if it does not smell sweet then you should discard it. A good way for gout sufferers to prepare cinnamon is by boiling water and mixing honey with cinnamon in it, then stirring it, to drink it as a tea. Although this sounds funny, a Copenhagen University study directed this exact compound to 200 people who suffered from severe arthritis. Over a third proclaimed reduced symptoms within a week and within a month; nearly everybody had significantly better mobility with far less pain. I personally sprinkle cinnamon on top of my green tea and other teas I drink. I also love to sprinkle it on top of a cappuccino and sometimes mix it in my water. Use it wisely also when you have a sweet tooth on top of rice pudding or simply toast some bread and spread some raw honey with some cinnamon on top, it is delicious!